D.A. Pennebaker is a legend in the documentary film-making game, making history with his early rockumentaries, he helped shape and influence an entire generation of filmmakers. This and the next Doctober feature will take a look at the man and his most highly regarded films, none of which I’ve had the pleasure of seeing in the past. 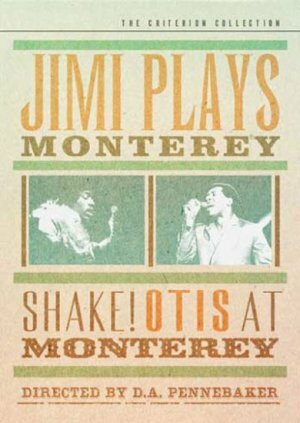 This first Doctober (#3) feature will take a look at his early concert films Monterey Pop, Jimi Plays Monterey, Shake! Otis at Monterey, and Ziggy Stardust and the Spiders from Mars. The next feature (#4) will take a look at the highly acclaimed Dont Look Back, The War Room, and 101. D.A. Pennebaker’s Monterey Pop has influenced the documentation of concerts and music festivals more than most people could ever imagine. Coming just one short year after his incredibly successful and acclaimed Dont Look Back, which chronicled musician Bob Dylan (and will be covered in the next Doctober feature), Pennebaker’s Monterey Pop made an immediate and lasting impression on rock journalism and documentary filmmaking. 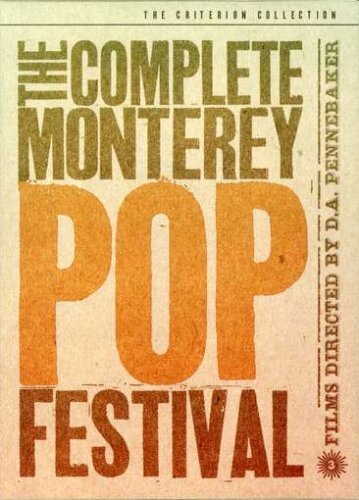 The film chronicles the Monterey Pop Festival, which was held in Monterey, California in June 1967, featuring some of rock music’s most successful and influential musicians including Jefferson Airplane, The Who, Simon & Garfunkel, The Jimi Hendrix Experience, and Otis Redding. The film captures the magic of the festival, the performances, and the social environment of the late-1960’s. Monterey Pop is a time capsule, and still holds up as an incredible piece of documentary film-making to this very day. Highlights of Pennebaker’s Monterey Pop include a terrific performance of “The 59th Street Bridge Song” (or “Feelin’ Groovy”) by Simon & Garfunkel, an incredibly energetic and impressive performance by Jefferson Airplane, an awkward but lovable performance of The Who’s “My Generation”, the last major public performance by the soon to be deceased Otis Redding, whose performance will be chronicled a little later in the feature, as well as Jimi Hendrix lighting his guitar on fire and smashing it to pieces after his rendition of “Wild Thing”. Hendrix’s performance will be elaborated on and covered more in depth in Pennebaker’s short film following Monterey Pop. After the highlights of all these incredible bands playing, we are treated to a lengthy performance by the great Ravi Shankar (albeit maybe a little too lengthy), as Pennebaker’s camera floats around the festival grounds, showing people young and old alike enjoying themselves and taking in the sights and sounds. Monterey Pop is an incredibly effective time capsule that still feels cool and relevant to this day, it features timeless rock and pop music, high-energy performances, iconic moments, and wonderful visuals. If you’re a fan of classic rock, concert documentaries, or somebody interested in 1960’s counter-culture, this film comes highly recommended. If there’s one thing Monterey Pop doesn’t do to satisfy viewers, it’s show more of the incredibly energetic performance by the Jimi Hendrix Experience. Luckily, D.A. Pennebaker and partner Chris Hegedus managed to capture the performance in it’s entirety, and eventually released it with subsequent video releases of Monterey Pop. Jimi Plays Monterey is only 48 minutes long, but manages to perfectly capture the spirit of the Monterey Pop Festival, and leaves you wanting even more incredible rock performances. Jimi Plays Monterey begins with an art performance by speed artist Denny Dent, painting a terrific portrait of Hendrix himself, setting the tone for the short film about to roll on. The film then starts with some narration about Jimi Hendrix and about the Monterey Pop Festival, which is something new because Monterey Pop features no narration at all. Jimi and his bandmates are all ridiculously cool on stage, even to today’s standards. Jimi, rocking an incredible feather boa, plays excellent renditions of “Foxy Lady”, a cover of Bob Dylan’s “Like a Rolling Stone”, B.B. King’s “Rock Me Baby”, and my absolute favorite song in the set, “Hey Joe”. After this incredible and eclectic set, Jimi treats us to the very memorable performance of “Wild Thing”, followed up by the star-making antics by Hendrix. There’s an anecdote that says The Who’s Pete Townshend and Jimi Hendrix both refused to go on after one another, and The Who ended up performing first after a lucky coin toss. Hendrix, not wanting to be topped by The Who’s own guitar-smashing antics, decided to one-up Townshend by lighting his guitar on fire and in the process created one of the most iconic rock moments in the history of the genre. It’s pretty obvious who won in that regard, I think. In order to get the most out of the Monterey Pop documentary, I absolutely suggest you seek out Jimi Plays Monterey. It’s short, fun, and wild. Highly recommended. The talented Otis Redding performing at the Monterey Pop Festival in 1967. D.A. Pennebaker got lucky in a sense with his documenting of the Monterey Pop Festival: The festival would end up being Otis Redding’s final major performance before he was killed in a plane crash at the age of 26, leaving the music world stunned. D.A. Pennebaker’s Shake! Otis at Monterey was released a year after Jimi Plays Monterey, and has also been included in subsequent releases of Monterey Pop. 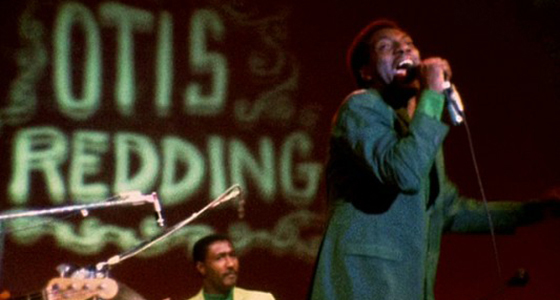 The film is only 18 short minutes long, but manages to give an idea of just how charismatic and talented Otis Redding was as a musician and performer. During the run-time of the short film, Otis plays an incredible rendition of his famous song “Respect”, a terrific cover of the Rolling Stones’ “(I Can’t Get No) Satisfaction”, and ends with his song “Try a Little Tenderness” as the camera roams the festival grounds, showing loving couple, crying teenage girls, and people generally having the time of their lives at the Monterey Pop Festival. Otis’ performance is incredibly energetic and had me wanting much, much more. There’s no doubt in anybody’s mind that the world lost something truly special when Otis Redding was taken from us. If you’re a fan of the legend, or want to get familiar with the music of Redding, then give Shake! Otis at Monterey a shot. It’s short, sweet, and you’ll be humming his songs for the rest of your day. Highly recommended. D.A. Pennebaker knows a special appearance when he sees one, which is exactly what Ziggy Stardust and the Spiders from Mars ended up being. David Bowie (who I admittedly don’t know much about) had reportedly grown tired of his eccentric Ziggy Stardust character, and had decided that this outing would be his final public appearance as the character. D.A. Pennebaker had something of a lucky streak for making documentary film history after his chronicling of Bob Dylan in the highly acclaimed Dont Look Back. Alongside that film was Pennebaker’s hip look at one of the first ever rock music festivals, the final major performance of Otis Redding, and the star-making outing by the Jimi Hendrix Experience, the documentary legend captured one of the first ever “retirement” performances in the history of the medium. Little did most people know that David Bowie would quickly resurface as more of an established solo act and continue to make glam rock history. Ziggy Stardust and the Spider from Mars features incredible performances of famous Bowie songs, including “Changes”, “Cracked Actor”, “Space Oddity”, Suffragette City”, “White Light”, and my absolute favorite “Moonage Daydream”. The film features incredible lighting and atmosphere, as was standard for David Bowie performances of the time. Bowie himself goes through multiple wardrobe changes throughout the performance, all of which are visually interesting and fit the highly eccentric Ziggy Stardust perfectly. Between the song performances, we are occasionally treated to David Bowie and his band backstage, getting ready to perform and just generally hanging out. A scene showing Angela Bowie, David’s equally interesting and eccentric wife, coming backstage to wish the band luck and interact with them is one of the film’s odd, but sweet, highlights. Towards the end of the set, Bowie announces this is the “last show he’ll ever do”, to which the audience very loudly reacts with both joy and sorrow. Ziggy and the Spiders from Mars come on for an encore after the announcement, playing “Rock N Roll Suicide” one last time, and the film soon fades to black. For somebody who didn’t know much about David Bowie (apparently D.A. Pennebaker was in the same boat as me), Ziggy Stardust and the Spiders from Mars packs a huge punch. The performances and visuals here are incredibly memorable, and I would go as far as saying I’m now a David Bowie fan. 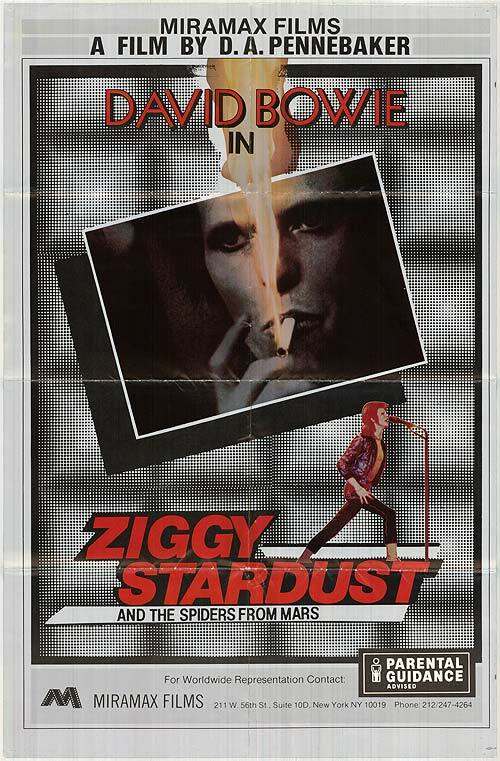 If you’re interested in David Bowie, Ziggy Stardust, or the idea of the “retirement gig” as a whole, check out Ziggy Stardust and Spiders from Mars. The fun, quick concert documentary comes recommended.